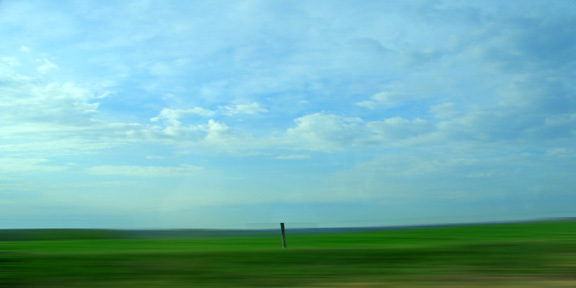 A native of Iowa and Kansas, Larry Chait grew up watching a lot of rural countryside pass by on the other side of the car window. 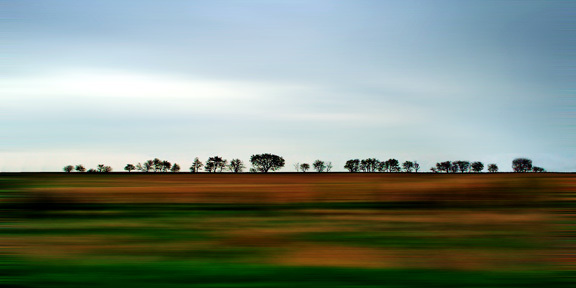 The hazy memory of those visions inform his recent series Motion and Memory: Impressions of the Rural Landscape from the Passenger Seat of a Car Traveling 70 mph from Chicago to Iowa City and Back, April 16-17, 2005. 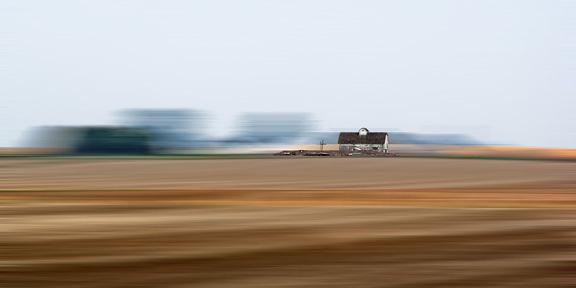 The pictures in this series hold one element - grazing cattle, an old red barn - crisp and static in the midst of surroundings dissolved in a rush of movement and blur. Fields of grain flow like lava, farmhouses look more like lighthouses engulfed by angry seas. They speak to endurance and erasure, the things that persist and the things that can’t keep pace. Larry Chait took interest in photography in the late 1970s because his laboratory had a darkroom. A scientist for twenty years, Chait now devotes himself exclusively to photography. He holds a BS in chemistry from the University of Texas in Austin (1973), a Ph.D. in pharmacology from the Medical College of Virginia (1978), and a Certificate in Digital Photography from Columbia College Chicago (2003). 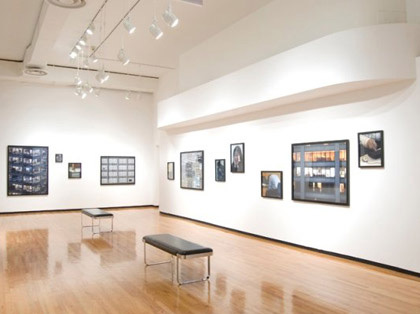 His solo show Arboreal Decay has been exhibited at Old Town Art Center, Chicago and GalleryIN46403 in Gary, Indiana.